Physical Features: Hilly in west, blackland in east; bisected by Blanco River; on edge of Balcones Escarpment. Economy: Education, tourism, retirement area, some manufacturing; part of Austin metropolitan area. History: Tonkawa area, also some Apache and Comanche presence. Spanish authorities attempted the first permanent settlement in 1807. Mexican land grants in early 1830s to Juan Martín Veramendi, Juan Vicente Campos and Thomas Jefferson Chambers. County created in 1843 from Travis County, organized the same year; named for Capt. Jack Hays, a famous Texas Ranger. Race/Ethnicity: (In percent) Anglo, 53.8; Black, 4.3; Hispanic, 39.0; Asian, 1.7; Other, 1.3; Two or more races, 2.3. Vital Statistics, annual: Births, 2,467; deaths, 1,007; marriages, 1,048; divorces, 371. Recreation: Fishing, hunting; college cultural, athletic events; African-American museum, LBJ museum; Cypress Creek and Blanco River resorts, guest ranches, Wonder World park. Minerals: Sand, gravel, cement produced. Agriculture: Beef cattle, goats, exotic wildlife; greenhouse nurseries; hay, corn, sorghum, wheat and cotton. Market value $15 million. SAN MARCOS (61,480) county seat; Texas State University, outlet center, tourism, distribution center, commuting; hospital; San Marcos, Blanco rivers; jazz festival in February, Mermaid Fest in September. Kyle (39,264) medical, education, retail center, Claiborne Kyle Log House, Katherine Anne Porter House, 5k Kyle-O-Meter in October. 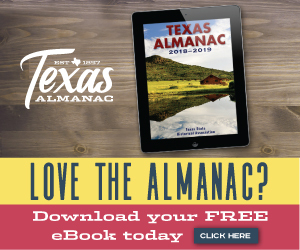 Other towns include: Bear Creek (456); Buda (15,732) construction, manufacturing, retail, government/services, Stagecoach park, Weiner Dog races in April; Driftwood (168); Dripping Springs (3,348); Hays (251); Mountain City (752); Niederwald (625, partly in Caldwell County); Uhland (1,331, partly in Caldwell County); Wimberley (2,675) tourism, retirement community, artists, historic homes, museum, Blue Hole park/swimming, Jacob's Well spring/natural area, art festival in April; Woodcreek (1,688). The Blanco River. Photo by CMBJ (CC).